Whether it's an after work wind down or the start of the weekend, join us for 2 gin and tonics for just £10. 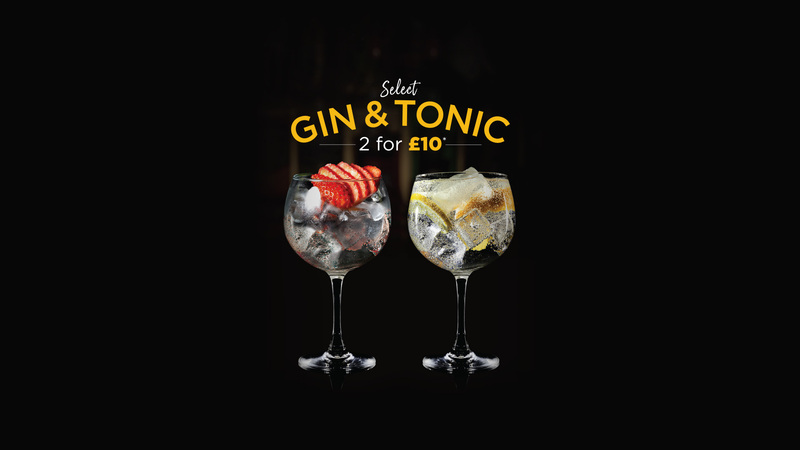 Choose from a selection of the best Gordon's gins to Whitley Neal, Hendricks, Bombay Sapphire or Tanqueray and mix it with tonic then enjoy 2 for £10. *Select gin and tonic combinations only. Cannot be used in conjunction with any other offer.